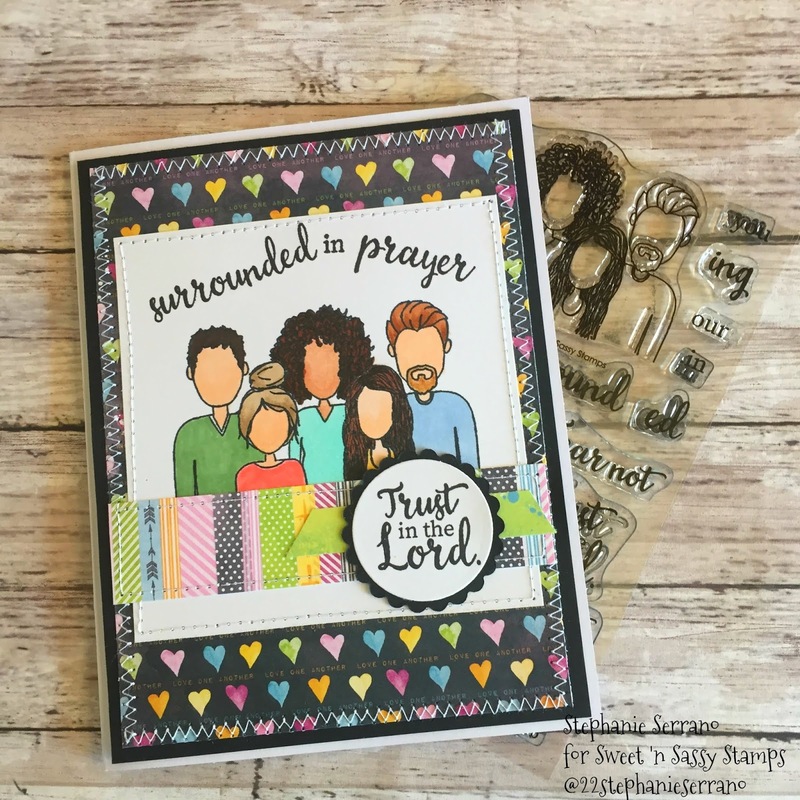 Hello friends, I have a card made with our new Stamp For A Cause set called Surrounded in Prayer. This heartfelt stamp set was created in honor of our Sweet 'n Sassy Stamps Creative Team member Jane Bosi and her recent battle with breast cancer for the purpose of raising funds for a cause that is dear to her heart. We’re thrilled to be partnering with Aspirus to raise funds for their Family House project which will support families while their loved ones undergo treatment. 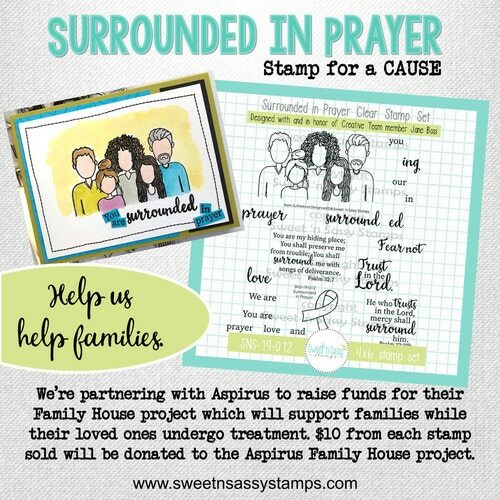 $10 from each stamp sold will be donated to the Aspirus Family House project. I colored my image with Copic Markers and the paper is from BoBunny. 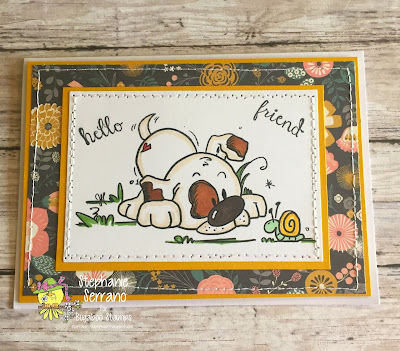 You still have a few days left to get the stamp of the month called Happy Day for FREE with a $75 order and as always, you will get free shipping with a $75 order. 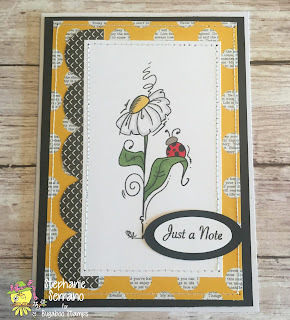 Today is Anything But a Card Day at Catch The Bug. We have had a few new neighbors move in so I decided to make up a couple plates of cookies to take to them to welcome them to the neighborhood. 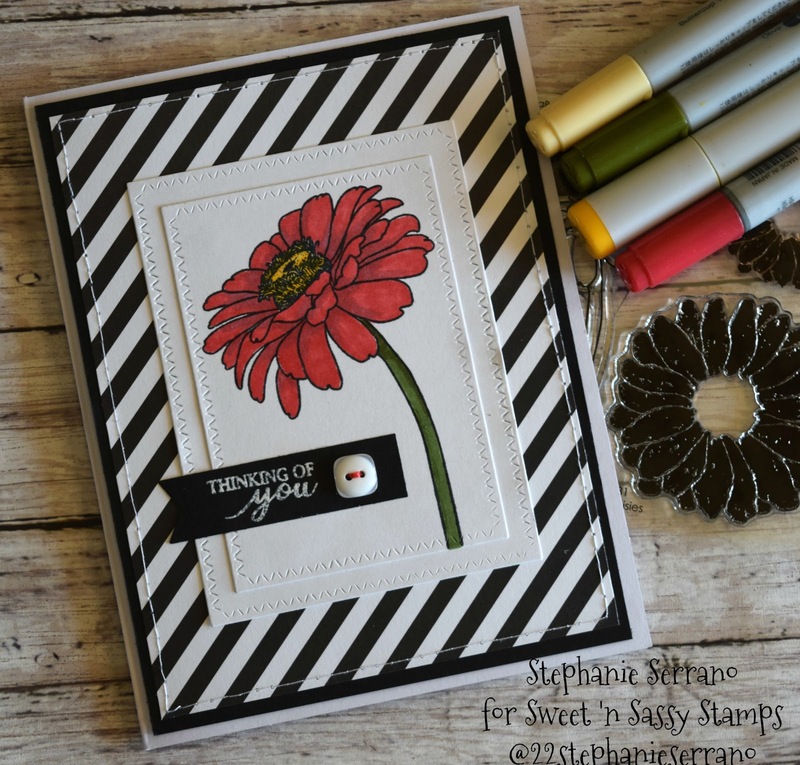 I decided to use one of the dollar digis called Dollar flower Bug, I colored it with copics and then just used some scraps of DP to make a tag. 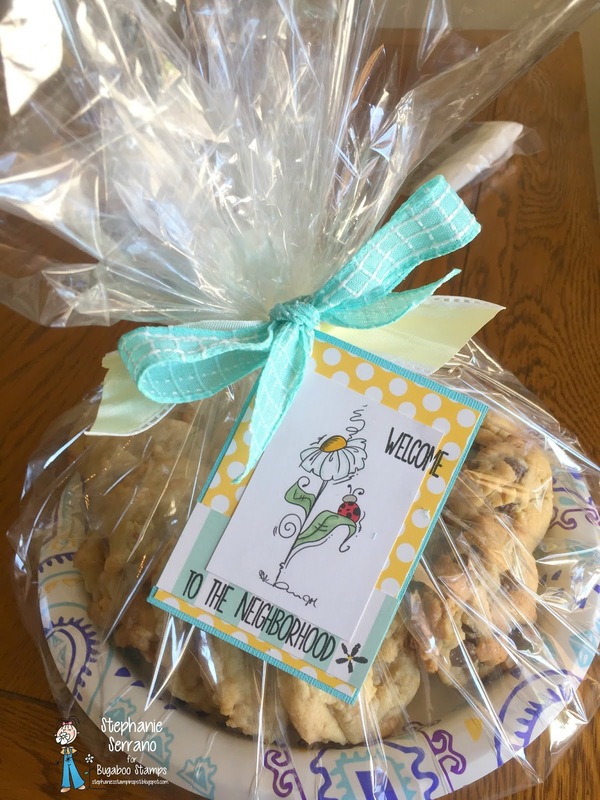 I added it to the plate with some ribbon and Viola' a nice welcome present. 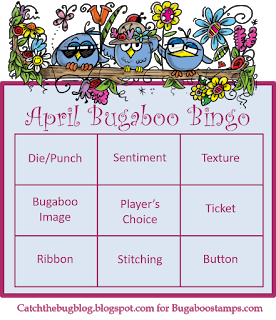 It's time for BINGO at Catch The Bug. 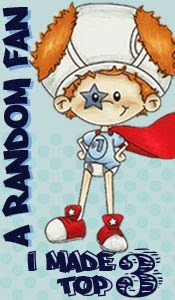 Pick 3 in a Row and make a card. My 3 go down the middle. 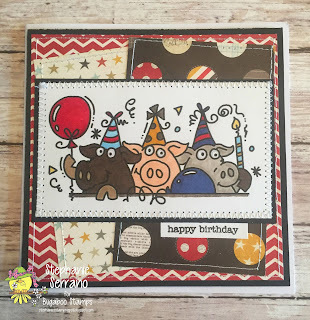 I am using Party Pig Trio a favorite oldie of mine. I colored with copics and the paper is from Simple Stories. Play along for your chance at 4, 7 or 10 Digi Images from Bug-A-Boo Stamps. You do not need a Bug image to play along but we would love to see one if you have it! Hi friends, can you believe we are halfway through April already?! I am loving all the flowers that have come into bloom this month here in AZ. 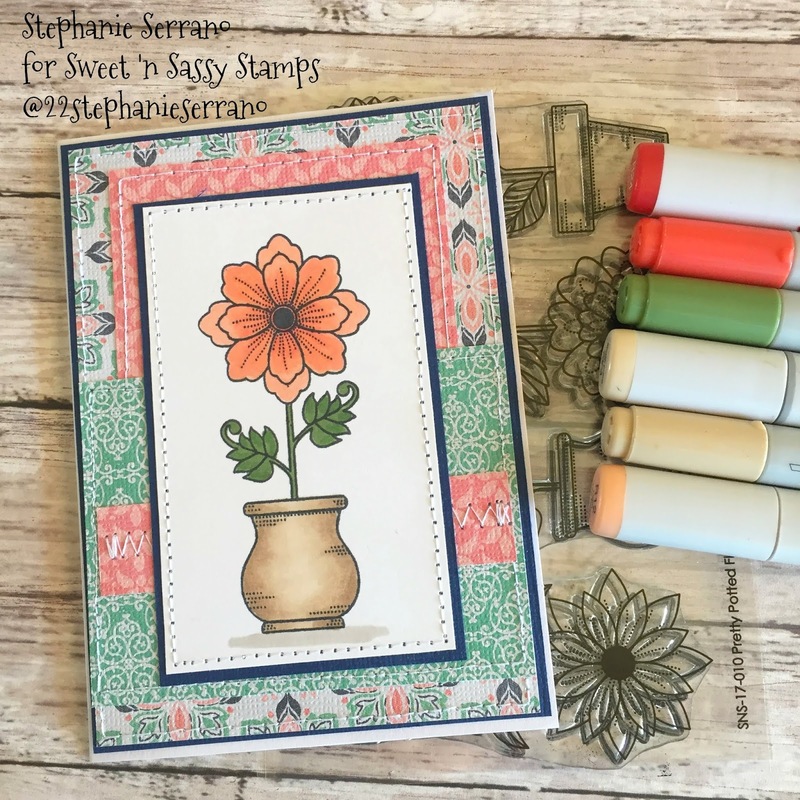 I decided to get out Pretty Potted Florals from Sweet 'n Sassy Stamps, I love this stamp set, I colored with copics and decided to pair it with some new paper I found at HB from The Paper Studios. 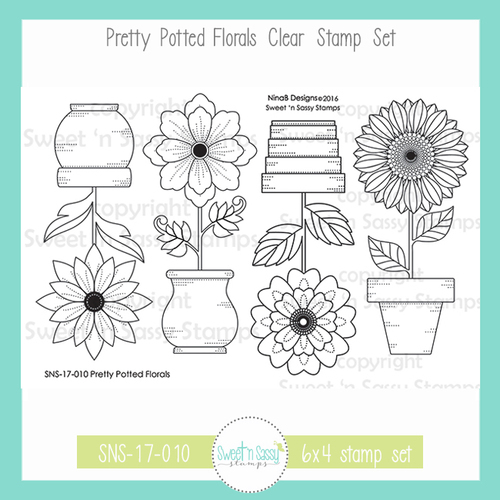 Don't forget about the new release at Sweet 'n Sassy Stamps, some amazing new sets came out this month!!! The stamp of the month this month is a sweet flower set called Happy Day it is yours free with a $75 order! Welcome to our April Release Blog Hop! 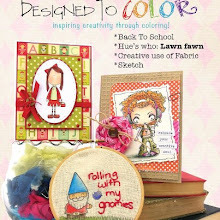 We are so excited about the new stamps coming out this month and can't wait to share some of our projects with you. 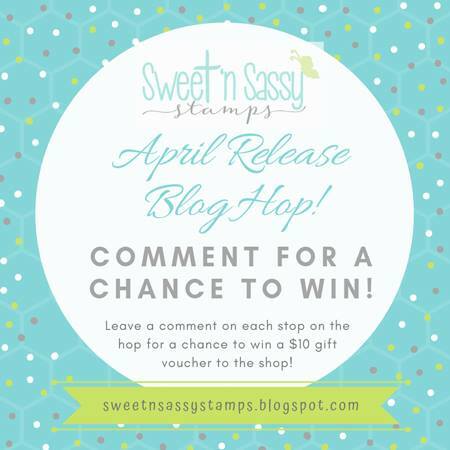 Hop along with us for some inspiration and make sure to comment along the way for your chance at a $10 gift certificate to Sweet 'n Sassy Stamps. 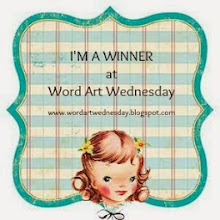 Winner will be announced on the SNSS blog on April 23rd. 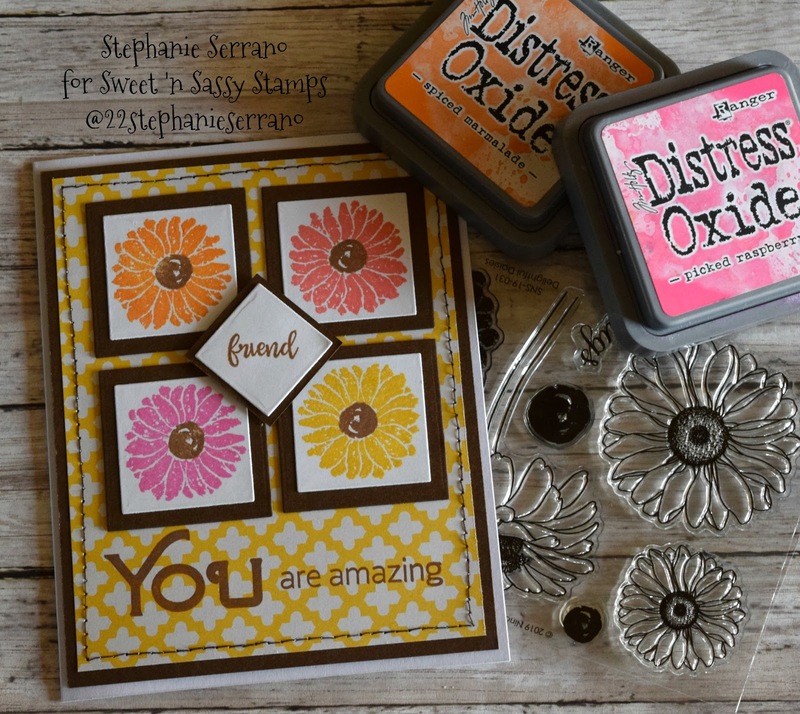 For my first card I am using Delightful Daisies, I can not even tell you how much I love this set! This set comes with both the solid and outline images and is just so FUN to play with. 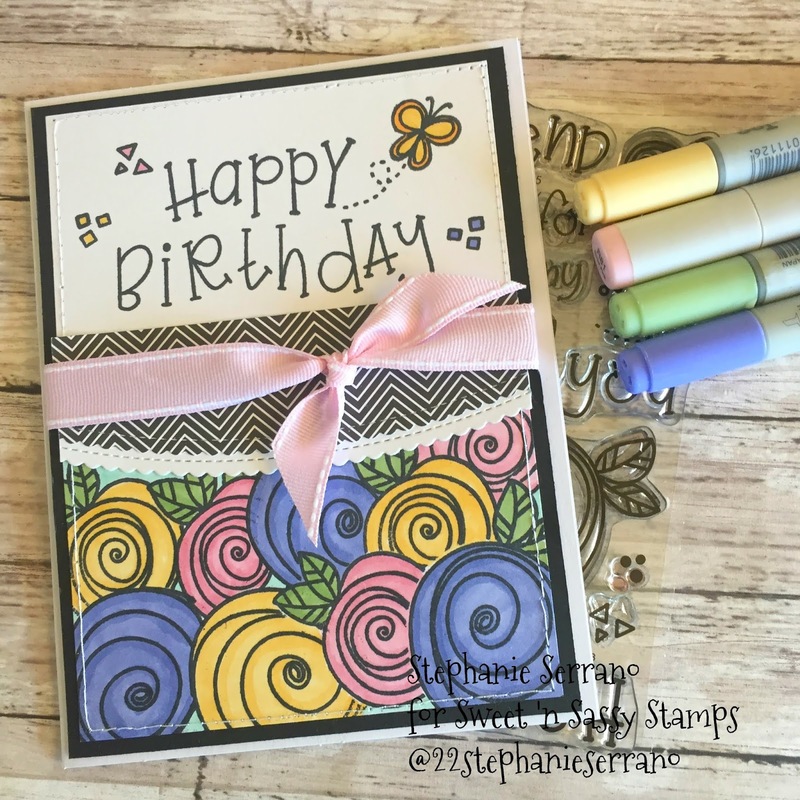 I stamped the largest image and colored with Copic markers for a quick and simple card. The sentiment comes from another great flower set Peaceful Peonies. 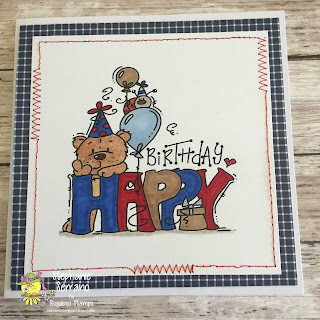 My next card is using Happy Day, which is the stamp set of the month. I colored with Copic markers and the striped paper was from my scrap bin. 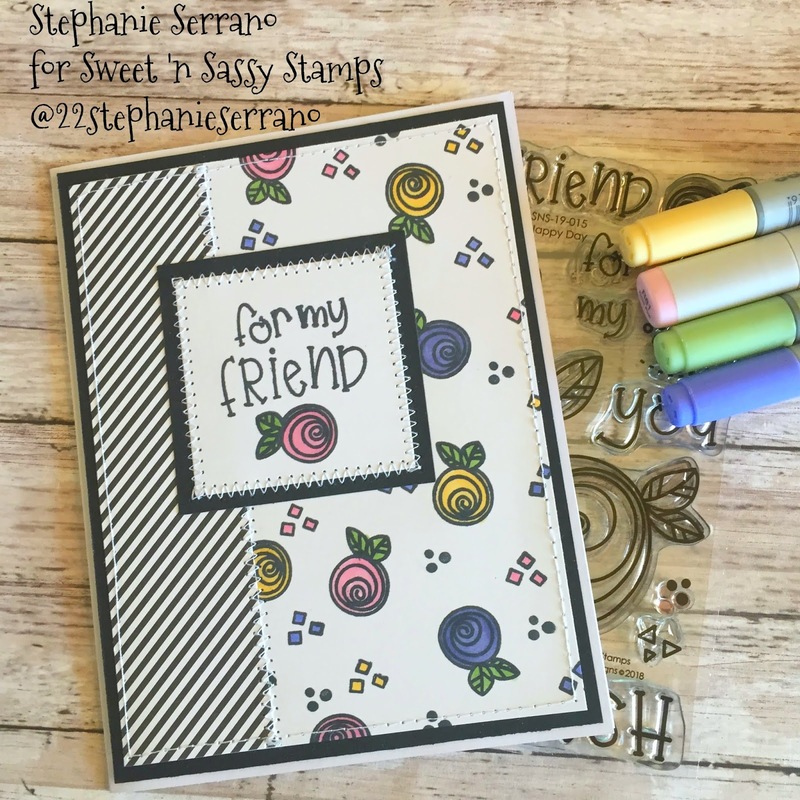 You can get this stamp set for FREE with a $75 purchase. Happy Day is another wonderful flower stamp set which is very versatile and will make for some quick and easy cards or you can also do some masking and make something a little more difficult which you can see HERE in a card I posted yesterday. 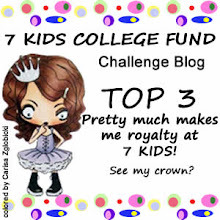 Thanks so much for hopping with us, I am the last stop on the blog but in case you started here the list of blogs is below so make sure you go back to the beginning and comment along the way! I am so in love with this month's Stamp of the month at Sweet 'n Sassy Stamps called Happy Day! I had so much fun playing with this set today. 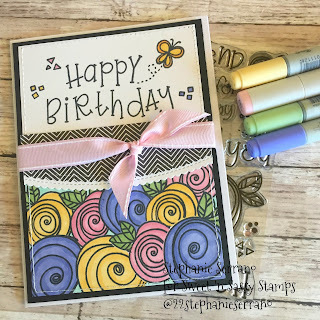 I did a lot of masking of the flowers for the bottom and the top was pretty easy, I colored with Copic Markers and added some patterned paper from my scrap basket to the middle for a sweet Birthday card. 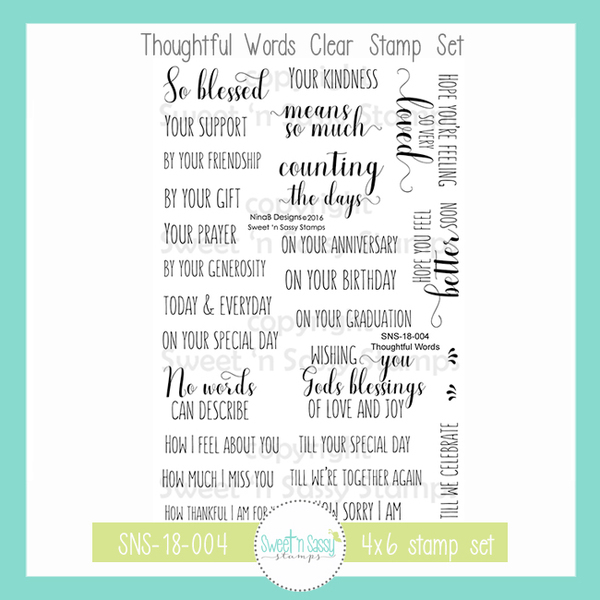 The best part is you can get this stamp set for FREE with a $75 purchase this month!! 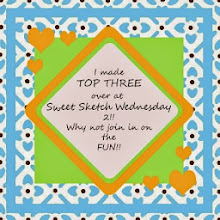 You are invited to our Blog hop tomorrow, make sure you stop back and hop along! Morning peeps! This weeks new challenge at Catch The Bug is Back To Nature. 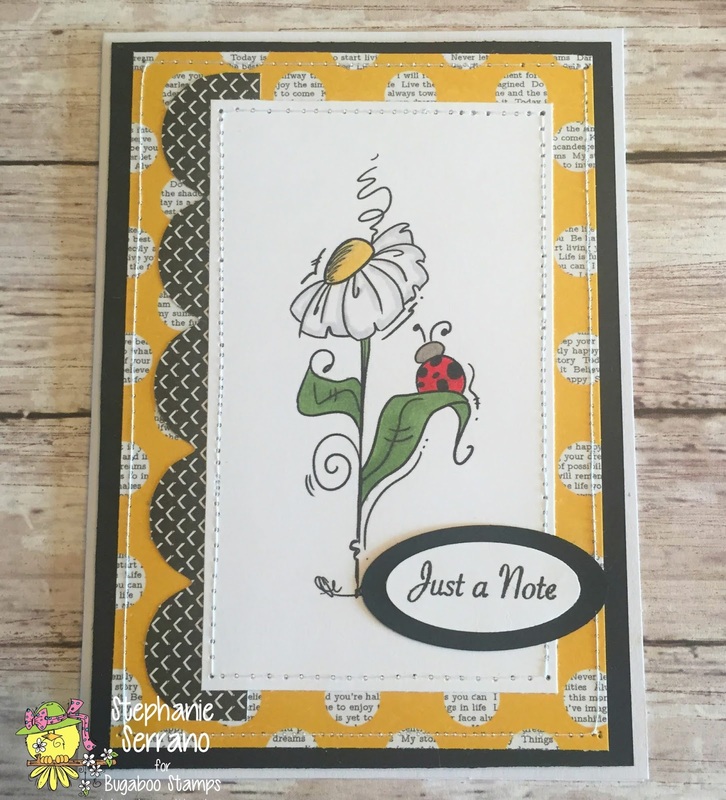 For my card to day I am featuring this cute, cute Dollar Digi called Flower Bug, I colored with copics and the paper is from Kaiser Crafts. 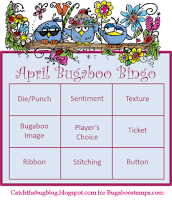 Play along for you chance at winning 4, 7 or 10 digi images from Bug-A-Boo Stamps. 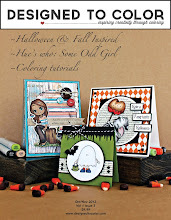 Hello friends, it's Freebie Friday at Bug-A-Boo Stamps. You have to LOL at this one! Who does not love chocolate?! I colored with copics and the paper is from DCWV. 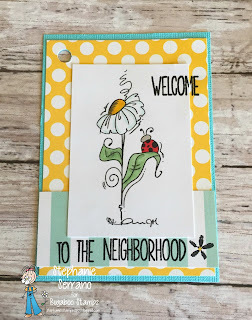 Check out what the other DT members did with with this cute image over on the Catch The Bug Blog. 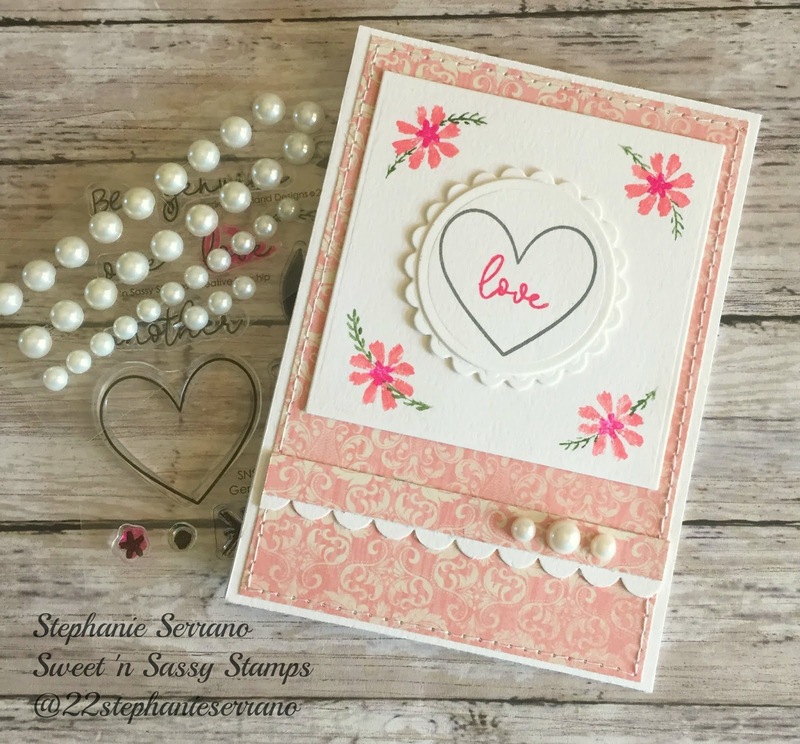 Today I am sharing a card I made using Spring Blossoms from Sweet'n Sassy Stamps. 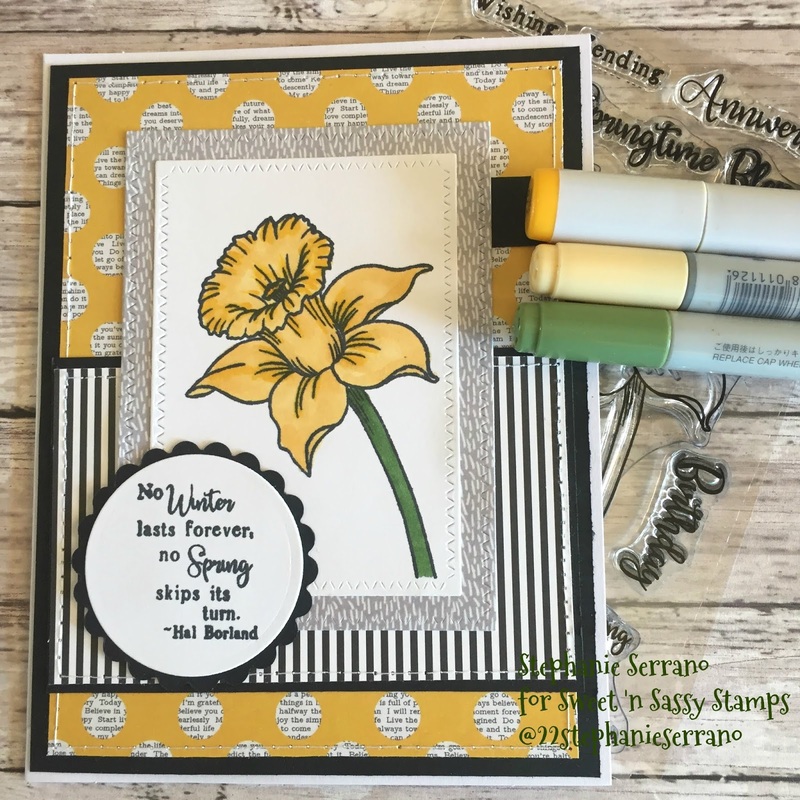 Daffodils hold a special place in my heart, we had them in the woods behind my childhood home and we would always go pick big bunches and bring them back to my grandmother! I colored with copics and paired this pretty flower with paper from Kaisercraft. 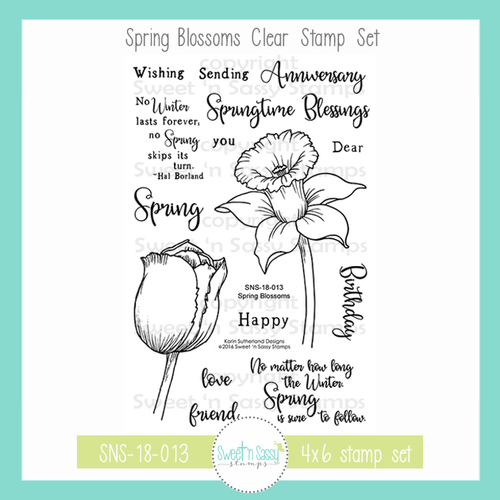 Remember there is a new release going on right now with a bunch of awesome sets and you can get the newest stamp of the month called Happy Day with a $75 purchase and as always you get free shipping with a $75 order. 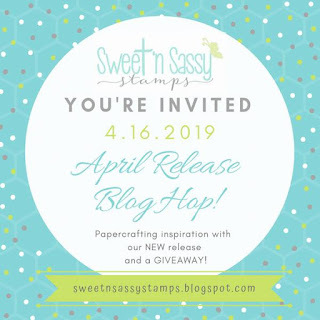 I also want to invite you to hop along with us during our April Release Party on April 16th. 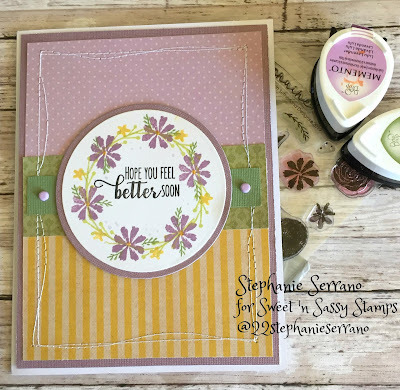 Hello Sweet Friends, I am sharing a card made with one of the new release sets from Sweet 'n Sassy Stamps. 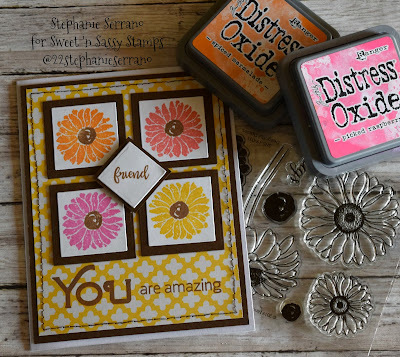 I just love, love, love this new Delightful Daisies set. 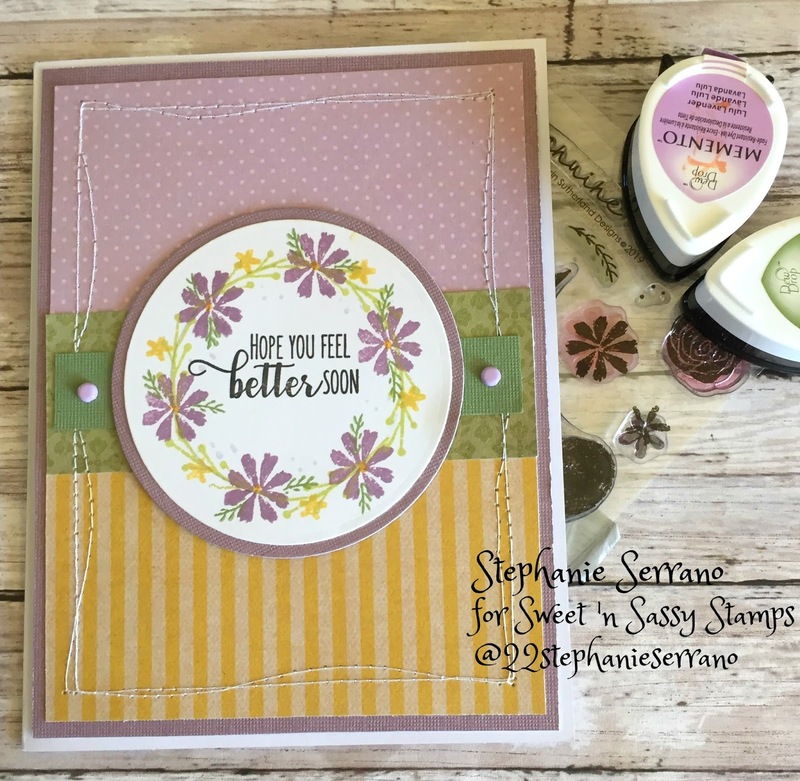 I stamped the solid image with Distress Oxide ink and the background paper is from DCWV. The word friend comes from the set Spring Blossoms and You are Amazing comes from the set All About You. 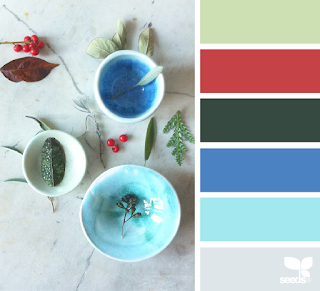 You can save 10% when you get the early bird bundle but hurry this offer expires TOMORROW! 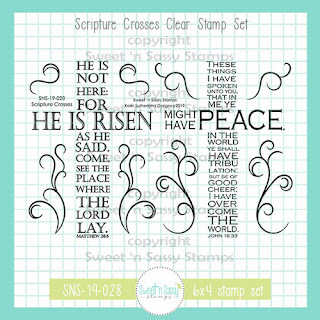 Don't forget our Stamp of the month and you will Love the one we have for you this month! 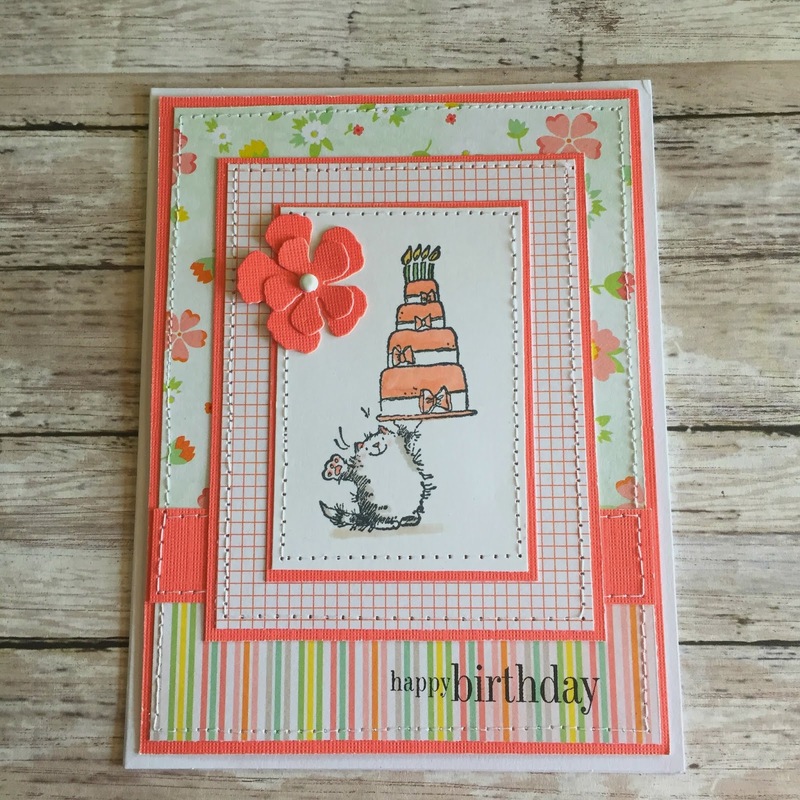 Happy Day is such a fun set to play with and it is free with a $75 order. 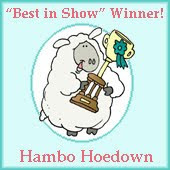 Happy Saturday everyone, it's time for your favorite challenge at Catch The Bug, Anything Goes. Today I pulled out an oldie but goodie, Theodore-Birthday Sign, I just love this image. I usually color this up for a girl but today I made it for a boy. I colored with copics and the paper is from my scrap pile. 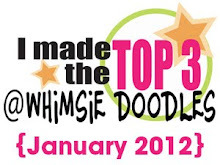 Play along for your chance at 4, 7 or 10 digi images from Bug-A-Boo Stamps. 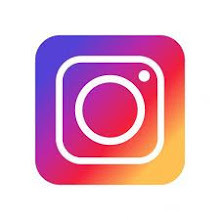 You do not need to use a bug image but if you have one we'd love to see it! It's time for the new release at Sweet 'n Sassy Stamps. If you thought last month was AWESOME, which is was! Just wait until you see this month's release! I am using Surrounded in Prayer, I colored with copics, and did some paper piecing. 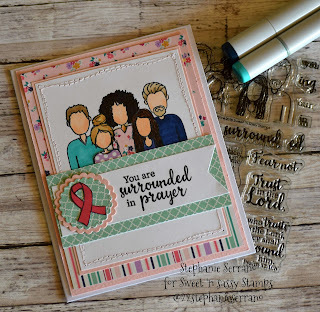 This heartfelt stamp set was created in honor of our Creative Team member Jane Bosi and her recent battle with breast cancer for the purpose of raising funds for a cause that is dear to her heart. We’re thrilled to be partnering with Aspirus to raise funds for their Family House project which will support families while their loved ones undergo treatment. 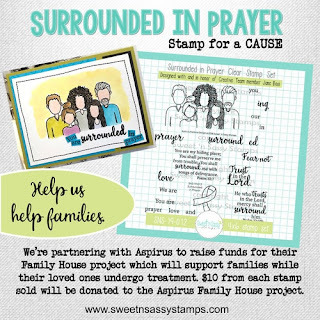 $10 from each stamp sold will be donated to the Aspirus Family House project. Find out more HERE! You can get the Early Bird Bundle for $60 and who doesn't want it all?? Hurry though, this offer only last until the 9th. 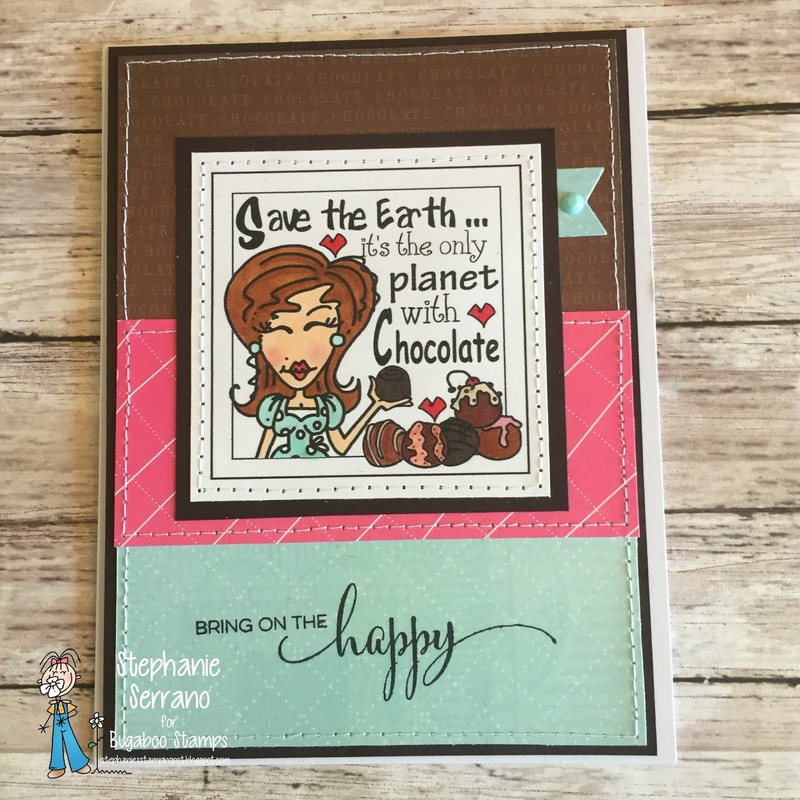 And remember if you spend $75 you will get this month's Stamp of the month called Happy Day! 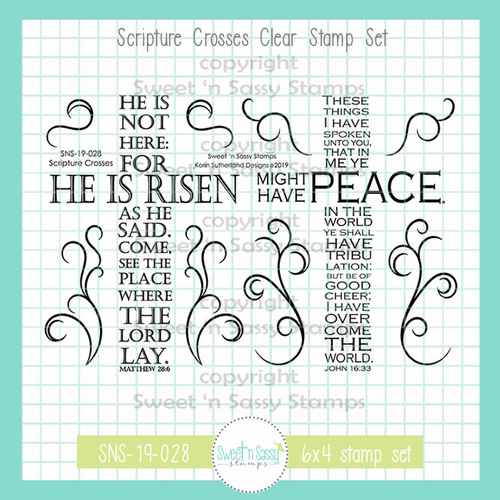 Sweet 'n Sassy Stamps offers free shipping on any $75 order. Hurry and get yours before they sell out! Kaisercraft. 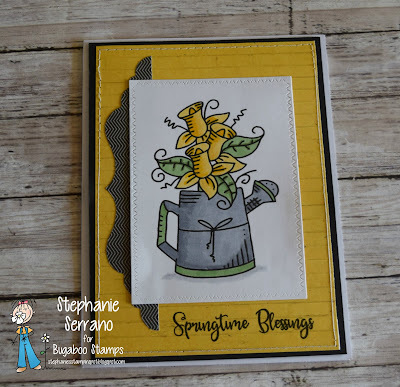 Check out what all the dt members did with this image over on the Catch The Bug Blog. Just a little bit of cuteness to brighten your day. 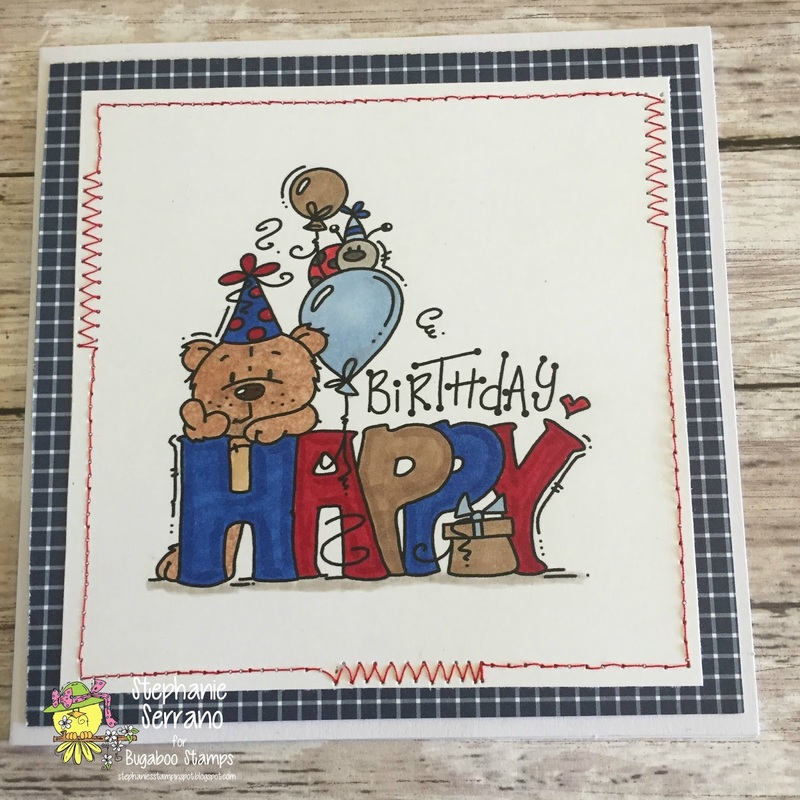 I colored this little guy from Penny Black Stamps with copics and the paper is from my scrap bin. I die cut the flower and added a brad. Easy Peasy! 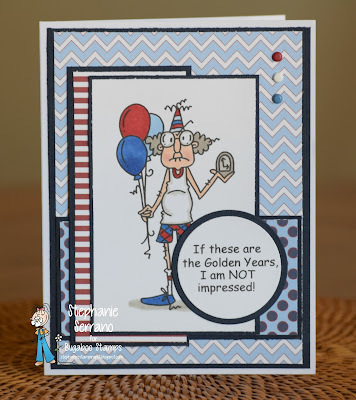 Hello friends, today is is Oldie But Goodie Day at Catch The Bug. I am using this sweet little cuddly dog. I colored him with copics and the paper is from The Paper Studios. Not much coloring necessary on this one. 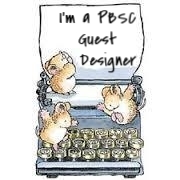 Makes for a quick and easy note card for someone. Hello Friends, I have a "springy" card for you today using Genuine Love and Thoughtful Words Both from Sweet 'n Sassy Stamps. I wanted to make a little wreath so I just took my circle die and traced the inside with a light pencil line and stamped the flowers and greenery on top . 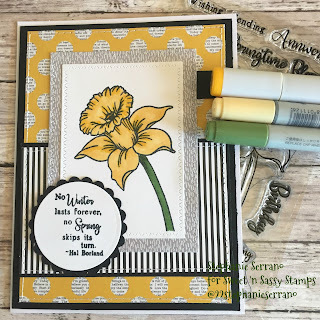 I just love these colors, ink is from Memento and papers are from DCWV. 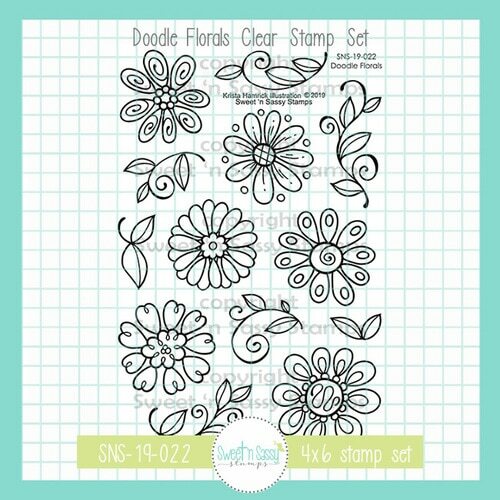 If you place a $75 order you will receive Doodle Florals FREE! It is such a fun and versatile set! As always you get FREE SHIPPING with a $75 order. Hello friends, it's time for a new challenge at Catch The Bug and this week we have a color challenge for you. 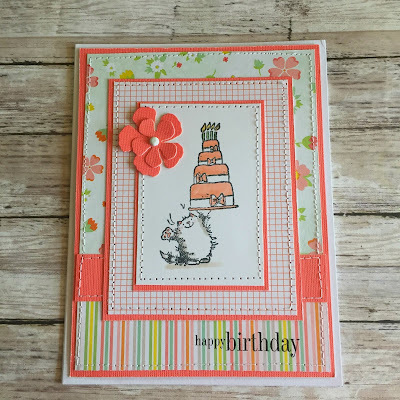 Use the photo provide as inspiration and make a card. I am using Gus-Collecting Wrinkles and the sentiment is from Gus-Golden Years. I colored with copics and the paper is from Pink & Main. 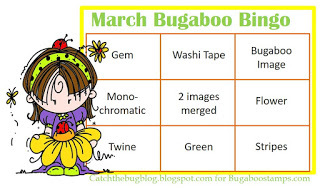 Play along with us for your chance at 4, 7 or 10 digi images from Bug-A- Boo Stamps. 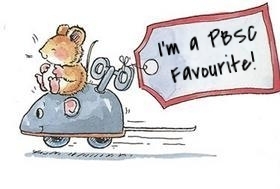 You do not have to use a Bug image to play along but we LOVE it when you do! 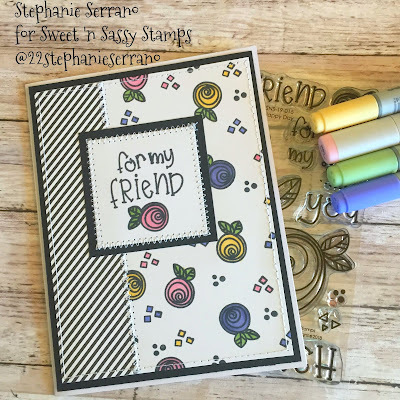 Hello friends, It's Freebie Friday at Bug-A-Boo Stamps! 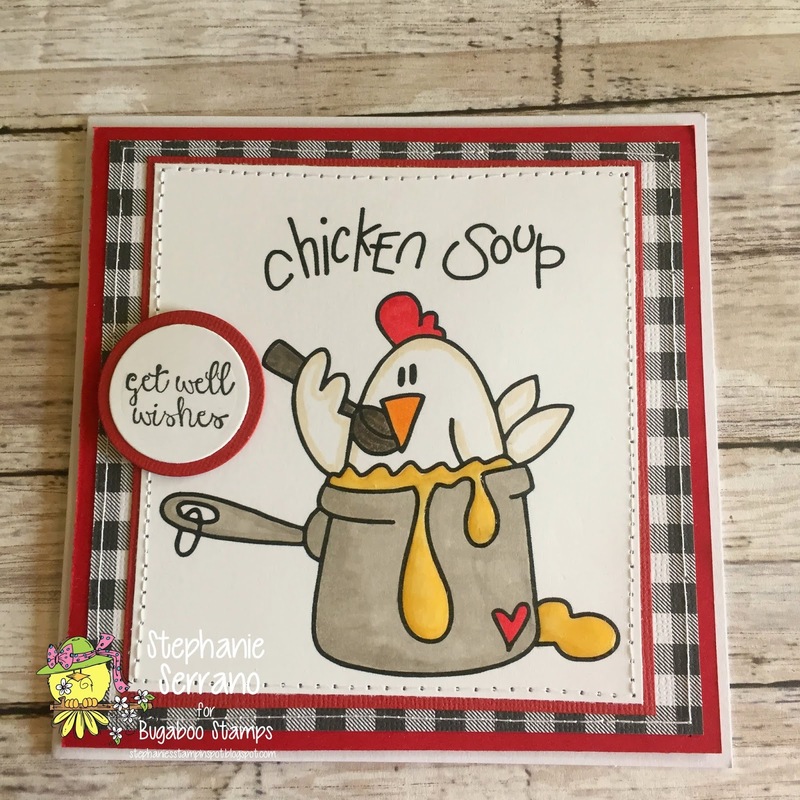 Love this chicken, he is perfect for get well cards. I colored him up with copic markers and added some glossy accents to the soup to make it look wet. The plaid paper is from The Paper Studios. You can see what other DT members did with this cutie over at the Catch The Bug Blog. Aud Sentiments-any sentiment except HB. 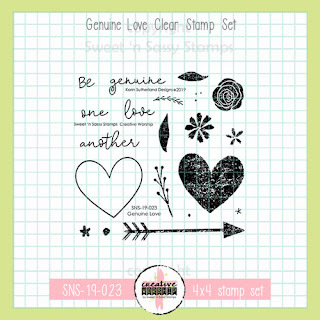 Hello friends, playing with a new stamp set from Sweet 'n Sassy Stamps today called Genuine Love. 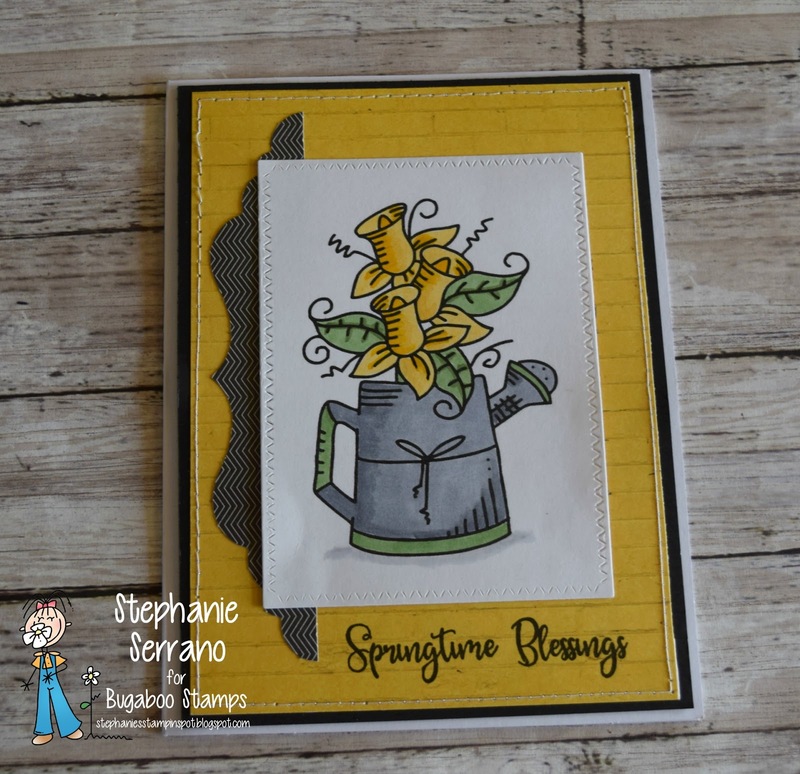 I was not sure where I was going when I started this card but love how it turned out. I used watercolor markers and watercolor paper. The designer paper is from my scrap bin and I added some pearls to fancy it up a little bit. I think this card would be great for an engagement, a bridal shower, or even a wedding. 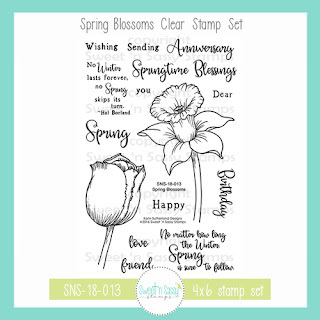 Remember at SNSS if you spend $75 you will receive the stamp of the month FREE and also there is FREE shipping on a $75 order. 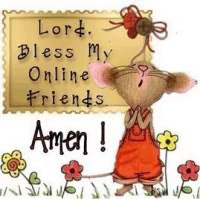 Happy Monday morning friends, I hope you had an awesome weekend. 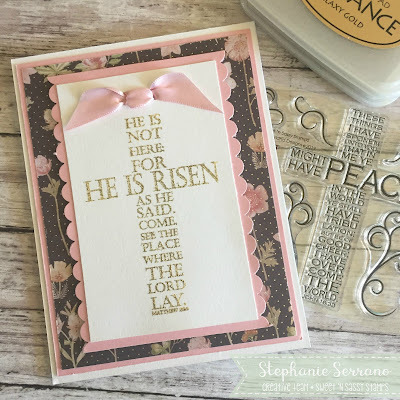 This morning I am sharing a card made with a new set from Sweet 'n Sassy Stamps called Scripture Crosses. 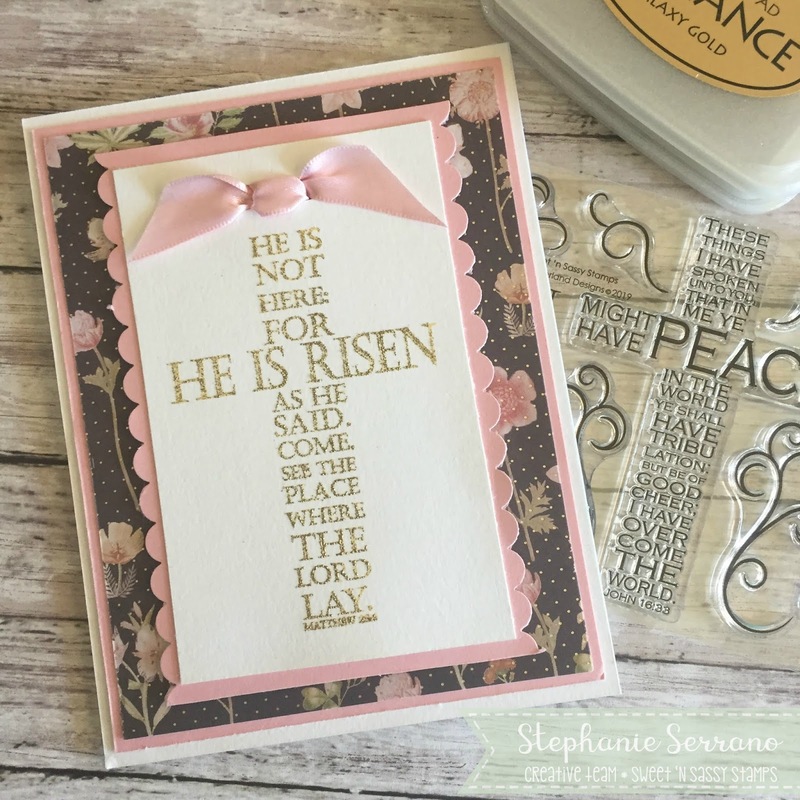 This set is amazing especially for Easter Cards. 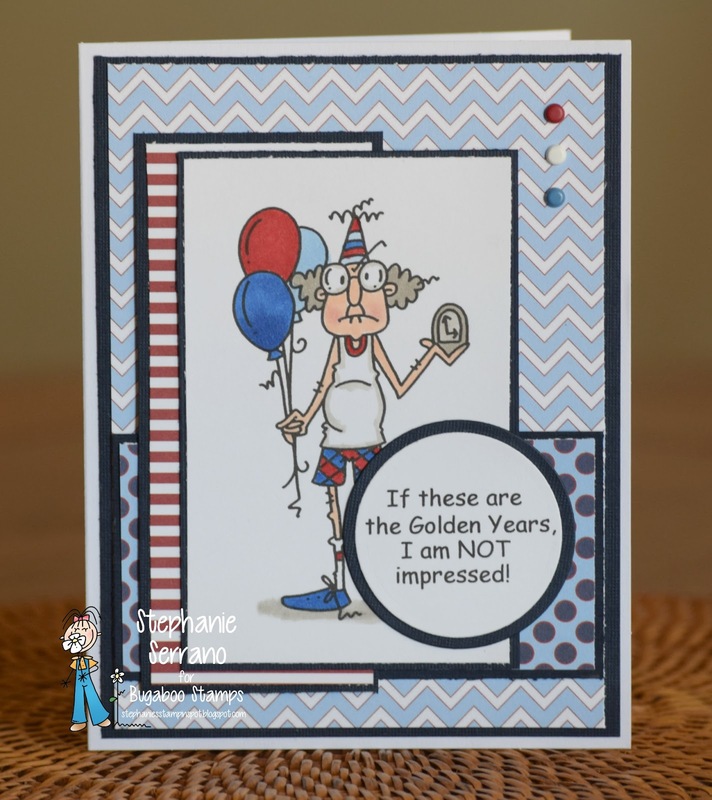 I stamped with Versamark ink and heat embossed with gold embossing powder. The paper is from DCWV. 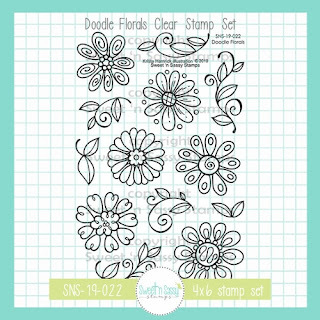 Remember at Sweet 'n Sassy Stamps if you spend $75 you get the stamp of the month free and this month it is Doodle Florals. 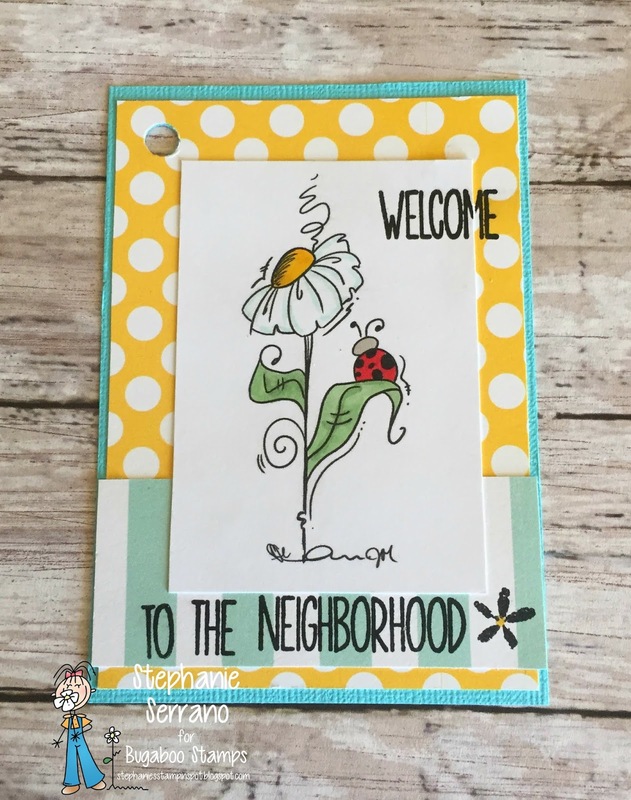 It's bingo Time at Catch The Bug, pick 3 in a row and make a card. 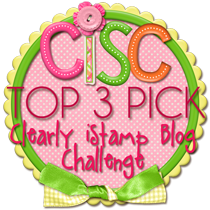 I picked (bug image, flower, stripes). This image is called Sketcy Boy-Ty,It is one of my favorite images to color up- I love giving TY notes, I think it is a lost art these days. I colored with copics and the paper is from Simple Stories. Play along with us for your chance at 4,7 or 10 images from Bug-A-Boo Stamps.